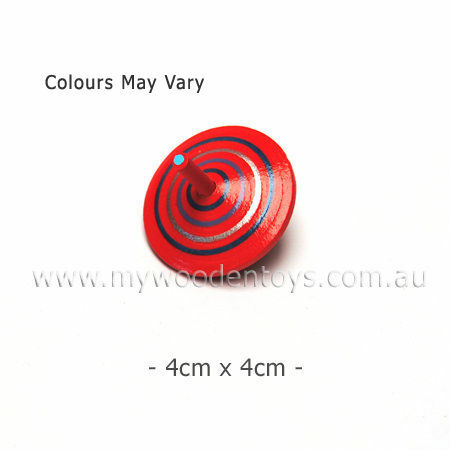 Wooden Toy Spinning Top is a beautiful brightly coloured wonderful traditional wooden toy. This top is nicely weighted which makes it very easy for small fingers to spin... and it keeps spinning for a satisfyingly long time. This little spinning top has circles painted on the top which blur nicely as it spins. We like this because: "The shouts of excitement it caused when our little girl got it to spin for the first time... also fantastic for fine motor skills."